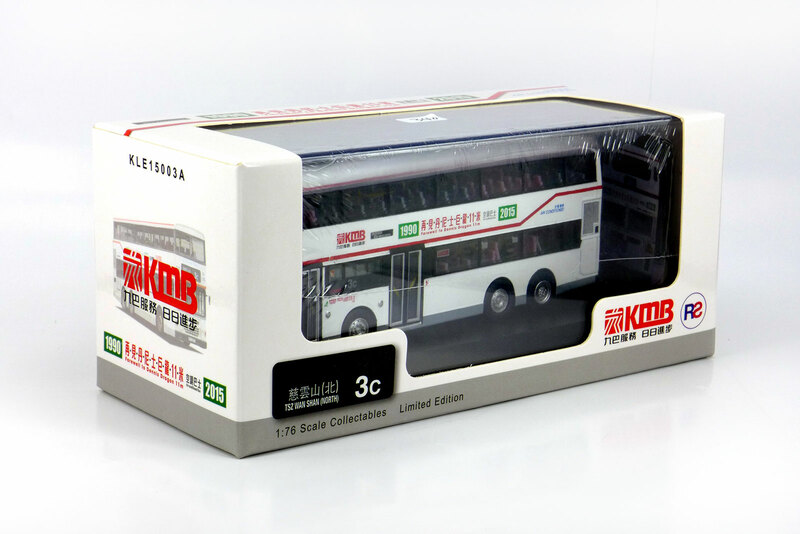 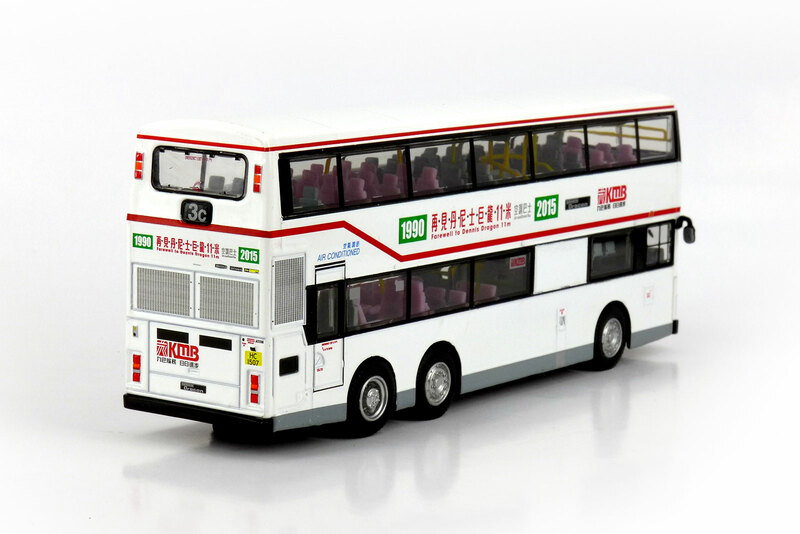 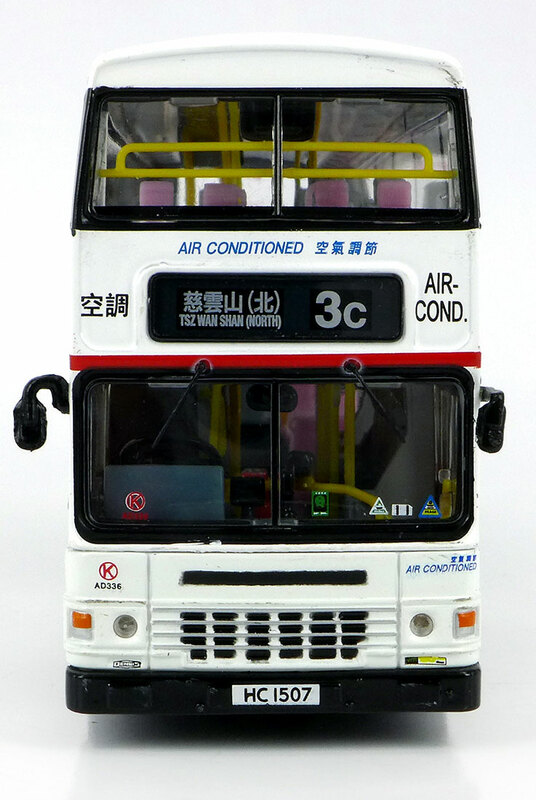 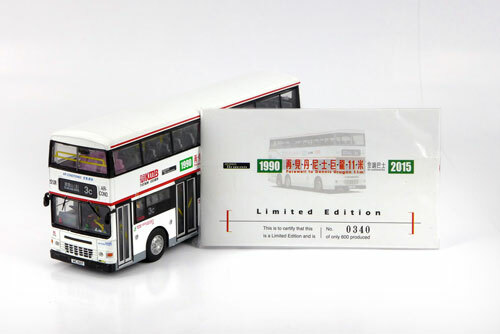 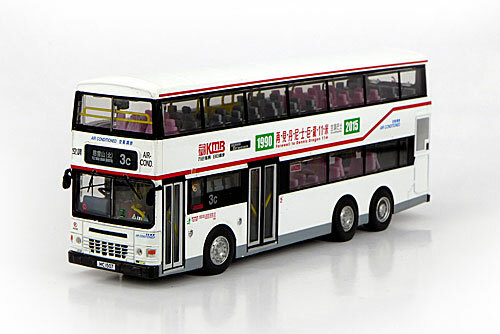 The model - this is one of three versions of AD336 set for release on 5th September 2015, the others being on route 92 (KLE15003) and and route 603 (KLE15004). The bus - as part of KMB's dual-sourcing policy, the company took delivery of one Duple Metsec bodied Dennis Dragon for evaluation purposes. 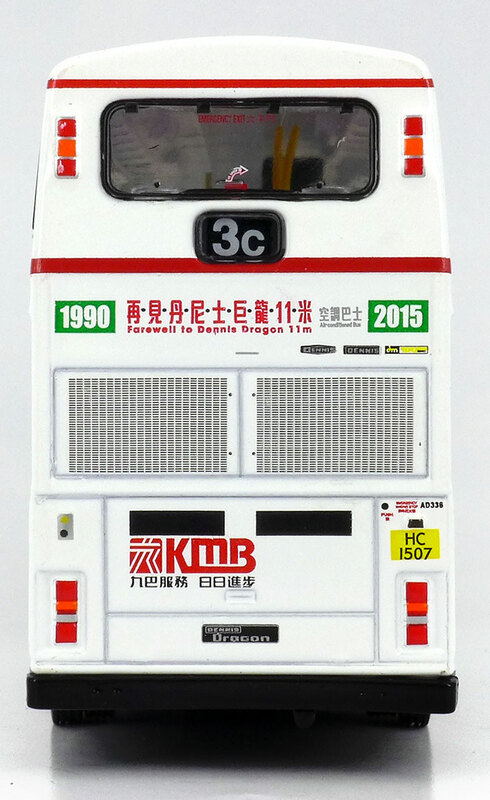 It was first registered in April 1990 and was later allocated the fleet number AD1. 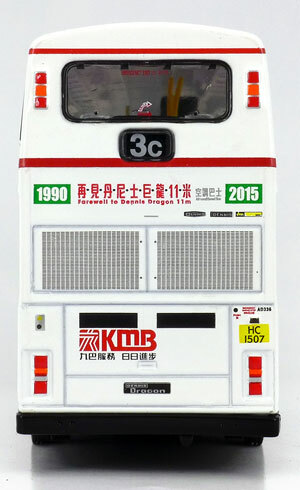 A total of 360 examples entered service between 1990 and 1997.